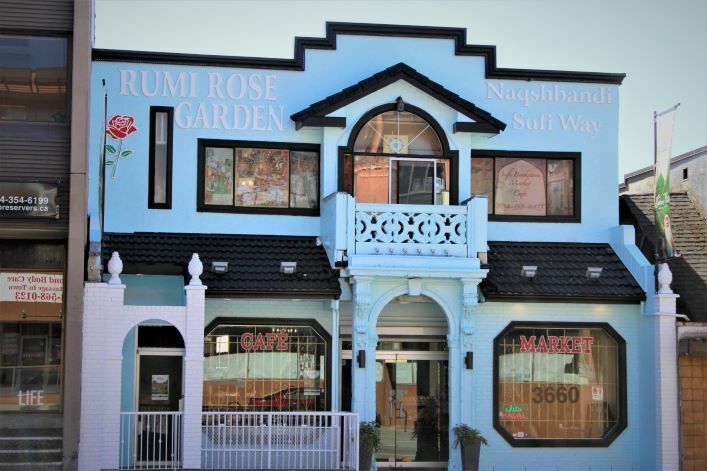 Rumi Rose Garden is Vancouvers finest Local general market & Cafe. Located in the charming neighborhood of the heights on E.Hastings and Boundary. Rumi Rose Garden is open 6 days a week, exclusilvly brews Cafe Umbrea, Come on in and enjoy one of our 49+ custom blended wellness teas, delicious coffee drinks or try our signature Turkish coffee; as well, serves up fresh traditional middle eastern foods and sweets daily. Shop in our market: Over 600 general market Items such as; milk, eggs, butter & cheese, baking ingredients/items , cooking items, cookies, chips and snacks, candy, spices, frozen goods, canned goods, beans, a wide selection of non alcoholic drink and beverages, breakfast items, general house hold items such as; shampoo, trash bags, cleaning items, bathroom tissues, toothpaste, medicine, soaps... as well we carry Mediterranean items and Italian pastas, sauces, dressings & sweets for all!!! Whether your hanging with friends/family, working on your laptop, or grabbing a quick drink to go, Our friendly volunteerd staff will be happy to serve you! Our Mystic theme allows you to feel the warmth and positive energy of traditional middle eastern culture with beautiful aroma, music, books & food. No need to travel the distance to the Middle East, when you have a Cafe like this, right in your back yard! Come visit us today! "A man of understand spoke to the tea merchants and tea drinkers." The one who tastes, knows. The one who tastes not, knows not. Dont speak of a heavenly beverage; offer it at your banquets and say nothing. Those who like it will ask for more; those who dont arent fit to drink it. Close the shop of debate and mystery. Open the teahouse of experience." 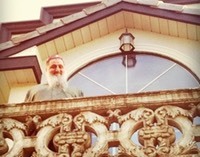 "Come come and come again, even if you have broken your vows a 1000 times yet come again"
That is Rumi Rose Garden. Take a seat in the Sufi Tea House and nurture your heart and nourish your soul with a cup of aromatic coffee or tea while listening to the soothing rhythms of Sufi mystical music. Browse the Sufi bookstore and find treasures for the spirit including a comprehsive selection of titles, CD's, oils, incenses, meditation, and healing gift items and much more. Shop in the Sufi Market and enjoy our exotic selection of Middle Eastern spices and food products which will bring you back for more.